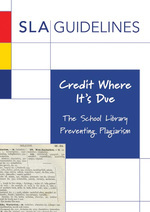 The Elements of a Citation (MLA style) : How does each piece of information help us? When you understand why each element of a citation is important and how it helps the reader, the whole thing comes together! Are you unsure about parenthetical referencing? How is it different to footnotes? Do you always need parentheses? What if there's no author, no page number? The answers to these and other questions here, MLA style, with a page in APA style, and one in numbered referencing style thrown in for comparison! Links to pages providing self-tests and case studies on plagiarism and other issues of academic honesty. These links take you to other then my own. Links to pages other then my own: along with the citation machines, some practical exercises in citation and referencing. See my workshops page as well!